Soap making has such a colorful history, and Japan is one of the places where it first bloomed. Soap blossomed as an industry and a common household item back in the 1950s in Japan. The Japan Soap and Detergent Association (JSDA) was founded in 1950. Just a year after, in 1951, the government reduced the pricing and prohibitions on raw material oils and household soaps. Japan also welcomed the use of petrochemical-based synthetic detergents. As the World War ended, the country launched a nationwide campaign called “Let’s wash hands”. Below we talk about the top Japanese soap brands of today. Hinoki, in Japanese, means “white cedar”. It is also translated as “fire tree” because in the past it was used to create fire through friction in the old Shinto Shrines. The tree is considered one of the “Five Sacred Trees of Kiso”, used in historical buildings such as shrines, palaces, temples, noh theatres, and baths. Hinoki oil is such a global phenomenon that it’s become a mainstay ingredient for other company’s cosmetic products lineups. But the truth is – and it’s no secret – hinoki oil originates from Japan. It’s an essential oil that comes from Chamaecyparis obtusa, Japanese cypress, found in central Japan. It is acquired through steam distillation from the tree’s wood or leaves. The oil has a fragrance that is unique – it smells of lemon, it has a pinkish-brown color and is resistant from insects and rot. The Japanese – and now the rest of the world – highly value this ingredient. Today, hinoki forests are greatly protected, as they have always been by the samurai and feudal lords from the past. This Cleansing Soap Set of 3 with Charcoal and Hinoki Oil is a good example of this product. This soap is perfect for sensitive or dry skin because it can cleanse the body without causing further dryness. It offers the original Japanese Cypress scent, mixing Hinoki oil with wood charcoal. 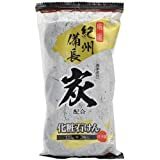 The Sumi Haigou Settuken Charcoal Bar Soap has gotten popular because of its ability to remove dirt and grime that is considered superior to others. Dirt is pulled out of the skin. Don’t be fooled by its appearance – because it does the job well. The powder used to make the soap comes from Japan’s Kisu regions. Oak branches are burned for days on end, cooled down, and transformed into an activated charcoal powder – known to make the skin brighter, clearer, and more toned. Use the SUMI HAIGOU Settuken Charcoal Bar Soap for the entire family. It’s highly safe to use for the body and face. The charcoal element extracts impurities from the skin, leaving you with an exfoliated, healthy, and moisturized skin. Enjoy the clean, refreshing smell of cypress. A top global brand, Shiseido was founded in Ginza, Tokyo, back in 1872. It was the very first Western-style pharmacy in the country. The name reflects the founder’s vision of discovering and creating value – a principle that has been in place for over 140 years. Shiseido values a sense of beauty, so much so that its products – rooted deeply in Japanese culture and tradition – has stood the test of time and rose to the top of the global market. 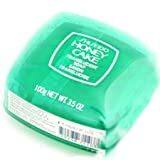 Shiseido Honey Cake Soap is a great example of Shiseido’s top-quality products. This particular soap is lightly scented, and its appearance resembles that of a jewel. The translucent soap is able to give you the most luxurious, smooth but rich, lather. As a result, users can get healthy and supple skin. Tamanohada was founded in 1892. It is one of Japan’s very first soap companies. It is based in Tokyo. The company got its start with soap production for hospitals and schools. As 2003 came in, their branded soap line took off and garnered a huge following over time. Every soap they make is created with a carved wood mold. They use RSPO vegetable oils, the same ones used for Japanese pastries. This move is a collaboration with Green Peace to fight deforestation. Tamanohada soaps have a texture that’s unique – somewhere between milky and watery, creating a highly moisturized skin in the end. Sensitive skin types can benefit from these soaps. You can use them for the entire body and face. Many users even leave the soap unpackaged on a dish, as it leaves a wonderful scent for the bathroom. 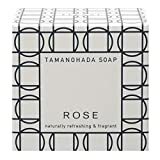 TAMANOHADA Soap (Rose) uses a vegetable oil base, made from palm oil and palm kernel oil. The soap is very stable and difficult to oxidize, which means it lasts a long time, but still creates a rich lather. The soap is moisturizing, perfect for all skin types. WAWAZA creates beauty and wellness products based on Japanese traditions and techniques. They only use natural ingredients – no toxins allowed. All of their products are approved by PETA, and absolutely no animal testing is done. The brand aims to promote “living” Japanese traditions (harmony, functionality, beauty) through their beauty and wellness products, which should be seen as an interwoven fabric – instead of separate products. Wawaza Japanese Artemisia Princeps Beautifying Yomogi Soap is an aged soap that has zero additives, zero preservatives, zero colorings, and zero fragrances. It is crafted with the Japanese wonder herb – “Yomogi” fresh leaves. It is ideal for all skin types. DHC is one of Japan’s most trusted beauty companies, offering health and wellness products. It was founded in the 1970s by Yoshida in Tokyo. Yoshida believed that knowledge is very important, and so he left Japan and traveled to Europe. He met a local farmer of olives. He discovered the production of high-grade organic oil. He got the idea of connecting the traditional herbology of Japan and his new discovery: olive oil’s antioxidant properties. 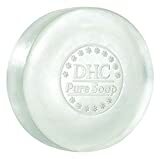 DHC Pure Soap’s name says it all. The pure soap gives no-nonsense. It is great for oily, greasy, blemish-prone skin. Excess sebum is treated by the gentle lather of the soap, which is formulated with both aloe and olive oil – softening, hydrating, and brightening the skin in the process. Need more soap history? Check out our posts on French soaps, Moroccan soaps, and Portuguese soaps.